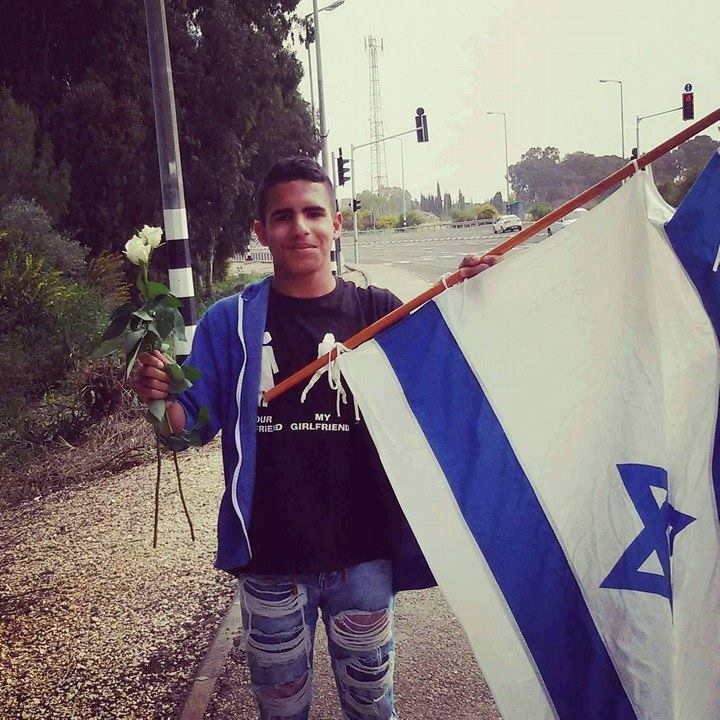 Hey everyone as you know my name is Mahdi Satri a 17 year old proud Israeli Zionist Arab from Arabian village near Akko. And then knowing that my father is sick with cancer. But thank G-d everything’s ok now. Today I decided to write about the latest events in Israel. I refuse to call it “attacks” because it’s an attack, one attack, by one enemy with one purpose. So let’s start with who did it? Why they did it? What’s the point of doing it? And which powers are behind this attack? As you know, I’m not a professor, I’m not a political analyst , I’m a normal student , and I have perspectives! I’m pretty sure that Israeli Arab terrorists did it, they tried to burn our land, they tried to burn our holy city, they tried to burn the heart of Israeli Haifa, they tried to wipe out the chosen people, they tried to separate us, they tried to create problems, to create a civil war. Let’s just think about the point! We get to conclusion that THERE IS NO POINT! They knew that they couldn’t steal our land from us over years and history is a witness to our story, and they know that they can’t steal our country by stabbing burning or doing anything, because this is the promised land for the chosen people, and because Israel is the most powerful country in the middle east. It’s not a mathematical or a physical equation! It’s really very clear, they did it because they knew that Israel will deal strictly with this , and they knew that Israel won’t keep calm while watching the burned homes, while watching the displaced families, the closed schools, the stranded animals. Then it’s a chance for the Palestinians to run to the UN saying Israel is a racist, extremist country. Then the world will stand against us like they do every time we’re trying to defend ourselves. only blind people will think that no one is behind this attack. Israeli Arab terrorists are behind it. Israeli Arab terrorists are so dumb to plan to burn different places different cities in Israel in the same day! For G-d’s sake don’t ever be blind! It is a curtain to hide the main criminals and to send a message for the world that the Palestinians want peace and Israel is a terrorist country. But the world isn’t watching our second holocaust caused by the Palestinians. They’re committing genocide to our natural resources, our children and families and they want to provoke us! I’m really pretty sure that it’s a terrorist cell sent by the Hamas and the Palestinian authority. And from this platform I have one message for every Palestinians or Israeli or any nationalist from any state: if you just think about creating a civil war in Israel, or think about creating terrorism or problems in Israel, Israel won’t keep calm and we’ll destroy every single terrorist. The terrorists might succeed with burning a big part of our forestry but you won’t burn the Zionist souls in our hearts! And as always AM ISRAEL CHAI! A few US fire fighters did volunteer and have been helping in Israel. But the US as a nation did nothing, I am sad to say. Our president was more interested in condoling Cuba on the loss of their dictator, Castro! Israel paid a private US company $1.5 million per day to use the Supertanker fire-fighting jet! As an American I am ashamed. Am Israel Chai!